Recently, EverExceed Corporation has established in-depth cooperation relationship with Senegal customers once again, with another order of ESC Series inverters under mutual trust. A total of 546 pieces of 12V/120W ESC Series sine wave inverters, adopting the most advanced PWM control technology, have been supplied to the Senegal Solar Energy Company to support the local grid-off solar systems. Featuring with precise control, security, high efficiency and good reliability, EverExceed ESC Series pure sine wave inverters are sold well in domestic and overseas. Esc Series inverters are a multifunctional convertible power supply adopting up to date converting technology. They have the function of perfect intellectualized protection. ESC Series inverters can convert 12/24/48 VDC current from batteries to 110/220V pure sine wave AC current, which specially can supply electricity power to families, marketplace and so on. They are also applied for cars, ships and camping widely. With the characteristics of over voltage shutdown, over load protection, short-circuit protection, over heat protection, ESC Series inverters, researched and developed by ourselves with many highly technologies and intellectualized electrical components, could debates the fussy control and protection made by apart components and improve the reliability of inverters as well as make the operation more convenient. 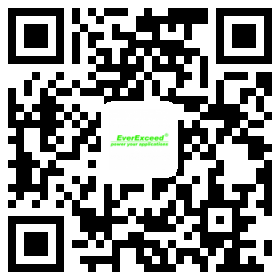 Therefore, EverExceed ESC Series inverter are always the good choice for worldwide customers.